I did find myself more drawn to the classical and jazz ends of my record collection and possibly slightly further from the selection of angular, spiky sounding music from the 1980s. I don’t play records by The Fall that often anymore, but I suddenly felt the need to play ‘Hip Priest’ from Hex Enduction Hour[Kamera] to get that full-on post-punk weirdness, and it showed what the Pianosa does well, and not so well. The random twists and turns of Mark E Smith’s drawl demand endless dynamic range (he often sounded like someone having a psychotic episode being thrown down a fire escape) and the Pianosa does surprisingly well in that respect, but it simply cannot paint the sheer bleakness required. Instead, the Pianosa finds the nice sounds and the happy place where possible, and with The Fall, there is no happy place. I’m not sure if that’s a benefit or a demerit though. Most music played on the Pianosa sounded lithe and elegant. It’s an easy sound, not a hyper-analytical one, but it still manages to make musical magic. It’s easy to fall into geographic stereotypes, and if you do an Italian turntable is going to be elegant, seductive, but ultimately insubstantial. The Gold Note Pianosa gets two out of three right, and fortunately it’s the right two. It is an elegant design with a similarly elegant sound, and it has seductive looks. 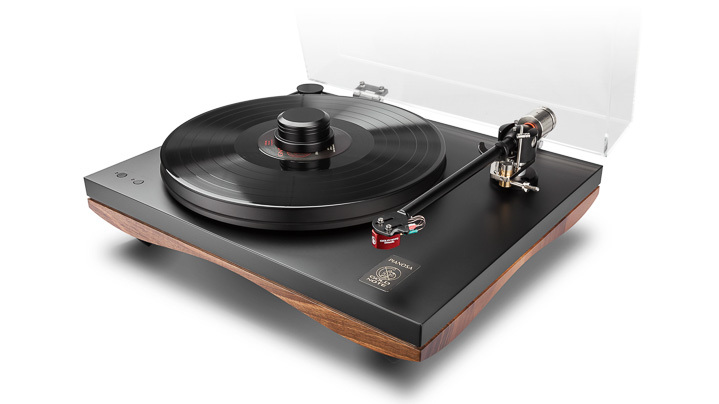 Add to that the simplicity of set-up and this is a turntable that should get lots of attention. It’s easy to use, easy to live with, and easy to love.